Intrepid Travelers performed the fifth and final show of their Cinco En Mayo Residency at Nietzsche’s on Thursday, May 31. “Freedom” was the theme for the night and the band took that as an opportunity to be “free” of any theme, and to play all the original tunes that had yet to be played this month. “Stand The Heat” was aborted as an audience member shouting “Free Bird!” was challenged to come up and play the song. FREEDOM NIGHT! Last Thursday of Cinco en Mayo 💜Thank you to anyone who joined us this month!! 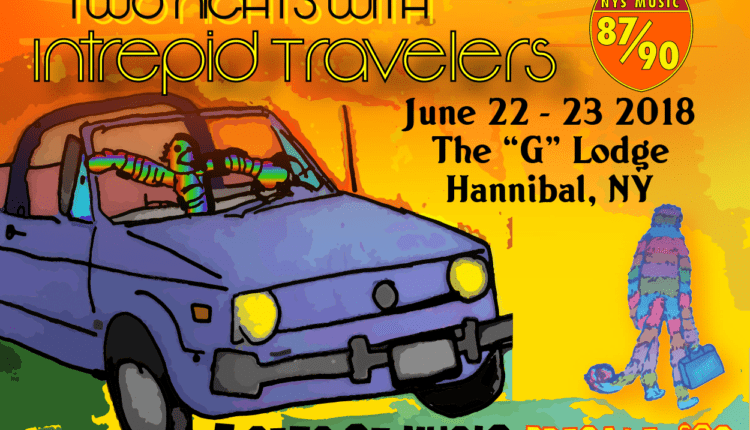 On June 21, celebrate Solstice at the 3rd annual Intrepid Travelers festival. The festival returns this year with a new name, on a new weekend, in a new location, with a new vibe! 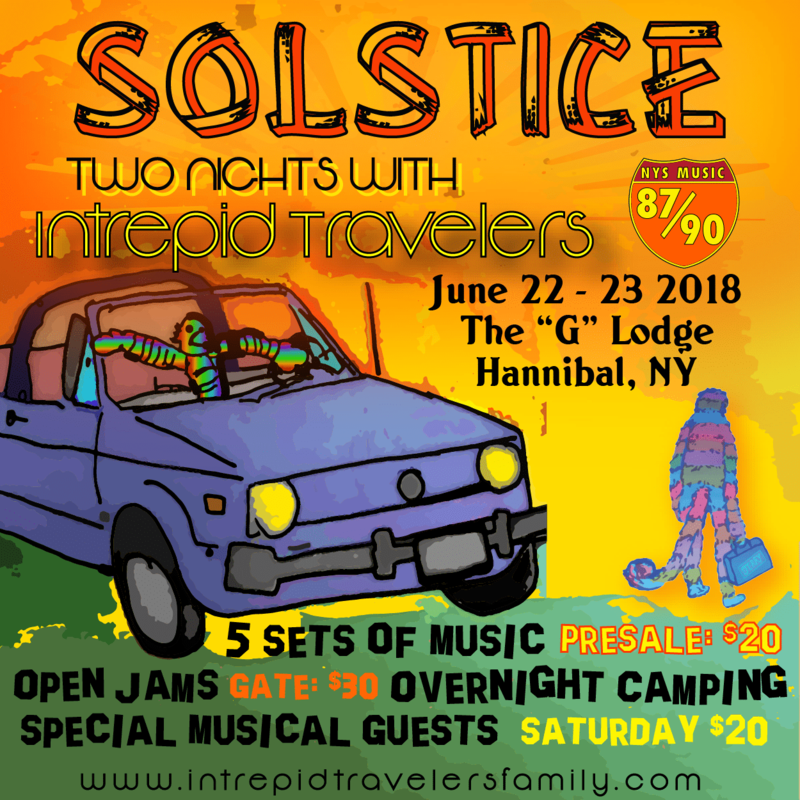 Join IT at the beautiful “G” Lodge in Hannibal, NY for an unforgettable weekend of community, experience, and most of all, music. Enjoy 5 sets of Intrepid Travelers, special guest musicians, open jams for fellow musicians, vendors, and an intimate gathering like no other. Get tickets here.